Murder by Gaslight: The New Hampshire Horror. 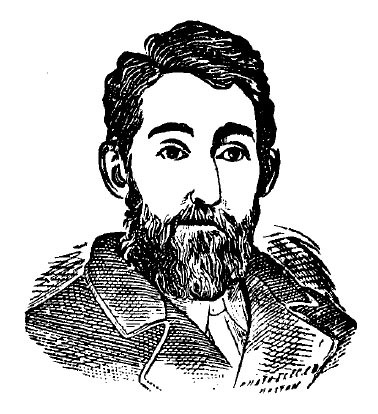 Stephen Andrews of Laconia, New Hampshire, suffering from insomnia was still awake in the wee hours of Sunday, November 25, 1883. 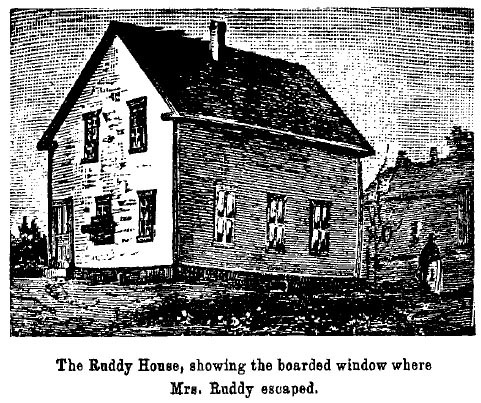 At 4:00 a.m., he heard screams coming from the house of James and Rosa Ruddy, across the street. He roused his son and they hurried over and found Mrs. Ruddy, lying on the ground, beneath the front window, bleeding profusely. Shards of glass on the ground indicated that she had broken through the closed window. He body truly was cut to pieces, but the men could see that it was not the broken glass that caused the wounds. It looked as if she had been chopped with an axe. Carefully, they carried her to the house of Mrs. Charles Filgate who lived next door. Soon after, they saw smoke rising from the Ruddy house. Andrews telephoned police and the fire departments, then he and the neighbors went inside to try to douse the flames. They quickly put out the fire, but the men were sickened by what they saw inside. Mr. Ruddy and his 13 month old son, Frank, lay with their bodies mutilated and charred under a partially burned feather bed. In the adjoining room, under a straw bed were the charred remains of a woman, her legs nearly severed at the knees. A carpenter’s hand axe covered with blood was found in a wood box in the kitchen. 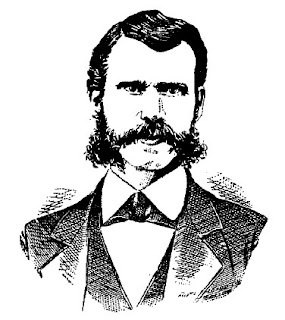 The dead woman was not immediately recognized, but soon Mr. John C. Ford, who lived nearby, came by to see what was happening and recognized her as his wife, Jane. Ford had a bad reputation and had recently been arrested for shooting at boys in the street. His wife had paid a $50 bond to the town to guarantee his good behavior. Thinking that Ford might be connected with this case, the officers took him into custody. John Ford was Jane’s third husband. As a girl of seventeen in England, she married Clarence Chauncey, twice her age, who brought her to America and died soon after. She then married William Scales, a successful New York saloon-keeper. The couple did a considerable amount of traveling, and lived for a while in Cuba. They moved to Laconia, New Hampshire, and William Scales died as well. 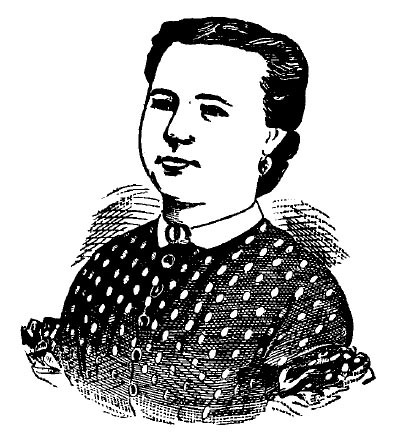 Jane Scales remained in New Hampshire, eventually marrying John Ford, a Laconia carpenter. Fifty-nine-year-old Jane Ford had a generally good reputation in Laconia—she belonged to the Ladies’ Relief Corps and taught Sunday school at the Unitarian church—but she had lately been backsliding into drunkenness and promiscuity. At the Filgate house, it looked as though Mrs. Ruddy was dying, but under doctors’ care she soon regained her consciousness. By now Sheriff D. B. Story had arrived with his deputies, and the Laconia Selectmen and other government officials were there as well. Realizing the importance of Mrs. Ruddy’s testimony, they began questioning her as soon as she was conscious. She told them that Thomas Samon came the house about 1:00 the previous afternoon, carrying a trunk in a wheelbarrow. He would not say what was in it but asked if he could leave it in their yard. 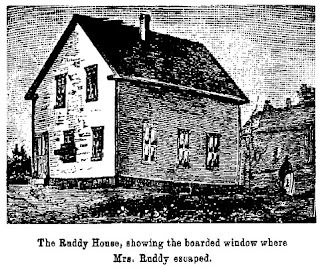 Mrs. Ruddy agreed to let him leave it there until her husband came home; Samon left, saying that he would return later. Samon and Mr. Ruddy both returned at about 5:00, and Samon asked if he could stay the night with them. Samon was their friend and the Ruddys knew he had recently separated from his wife, so they had no objection. Ruddy helped Samon carry the trunk into the house; Samon said he would explain later what was inside. got up and got dressed then went to find out what was the matter. Samon was too nervous to sleep, he said he thought he heard people trying to get into the house. Mrs. Ruddy left her husband quietly talking with Samon, and went back to bed. She was awakened some time later by a heavy thud coming from the kitchen. She went into the kitchen and found her husband dead, in a chair with his head hanging over the back. Before she could touch him Samon rushed her and struck her with an axe nearly cutting off her hand. He hit her again and she fell to the floor. The baby started crying then and Samon went to him. Mrs. Ruddy could hear the blow that struck the child. Samon returned with boy’s body and laid it beside Mr. Ruddy, then he took a feather bed and put it over the two bodies. Mrs. Ruddy pretended to be dead while Samon poured kerosene over the bed and over her. When he set the feather bed on fire she sprang up screaming, ran into the front room and jumped through the window, breaking the large pane of glass, to make her escape. John Ford said he had not seen his wife since the preceding Friday evening; she had been in the company of Thomas Samon for two or three nights. The police believed his story and set him free. A hastily convened coroner’s jury indicted Samon for three murders and the search for him began. He had left town shortly after setting the fire and it was believed he was heading for Plymouth, New Hampshire, where his wife worked. Thomas Samon was about fifty years old at the time of the murders. He had come to America from Dublin when he was quite young, along with his brother, who opened a successful wholesale liquor dealership in Boston. Thomas was quiet and industrious, becoming a proficient hotel cook, well-known in among the leading hotels in New Hampshire. In 1882 he married Johanna Welch and they set up housekeeping in the Laconia tenement owned by the Fords, where the first murder took place. But Samon suffered from alcoholism and depression and had attempted suicide, at least once, by jumping off the South Boston bridge. At the time of the murders, Samon and his wife were living apart. The Selectmen of Laconia offered a $500 reward for Samon’s capture, and telegraphed all of the nearby towns. At about 4:00 that afternoon, word arrived from Plymouth that Samon had been arrested there and would be taken back to Laconia on Monday. Samon denied any knowledge of the crime. Believing that the fire had destroyed the evidence, he said that he intended to move his furniture to Plymouth and had moved his trunk full of household goods to the Ruddys’ on Saturday in preparation. He went back to the Fords’ and slept until 5:00 a.m. when he rose and started for Plymouth on foot, having no money for the train. It was not until Thursday, November 28, Thanksgiving Day, that Samon learned that the Ruddy house had not burned to the ground. Realizing that his story would not hold, Samon agreed to confess. 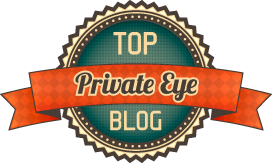 As John Ford had said, Thomas Samon and Jane Ford had been sleeping together for several nights before the murders. They had also been drinking heavily. They drank whiskey and beer all night Friday, and Saturday morning Mrs. Ford asked if there was any more lager. When Samon said no, an argument ensued and quickly turned violent. Samon flung her to the floor and pressed down on her chest with his foot. When he lifted his foot he found that Mrs. Ford was dead. In desperation, and considerably less than sober, he decided to pack her body into a trunk, chopping her legs at the knees to make her fit. He put the trunk in a wheelbarrow and wheeled it away to dispose of the body. Samon had no idea what to do with the body; he ended up at the home of his friends, the Ruddys, and thought if he could sleep there he would take it away in the morning and bury it somewhere. From this point, Samon’s story matched Mrs. Ruddy’s. He brought the trunk into the house but did not tell them what was inside. That night Samon could not sleep, believing the house was surrounded and he would be captured. Around three in the morning the idea struck him that if he killed the Ruddys and burned down their house, all evidence of his crimes would be gone. “The very moment that the thought came to me I struck Ruddy.” Samon told the police. The courtroom in Laconia was full when Thomas Samon was arraigned for murder and at least 500 people stood outside. Samon’s court appointed attorneys complained to the judge that it was difficult to proceed when their client was determined to plead guilty to first degree murder. Before the court would accept the plea, Samon was examined by Dr. J. P. Bancroft of Concord and Dr. George F. Jelly of Cambridge, Massachusetts, to determine his sanity. After examining Samon’s current condition, his past and his family lineage, the doctors concluded that there was no proof that he was insane presently or any time in the past. His suicide attempts, they said, naturally followed form the debaucheries in which he indulged. Thomas Samon had little sleep the night before the hanging, he was up past midnight drinking coffee and smoking cigars. He ate no breakfast that morning, and after receiving his last rights by Fathers Barry and Henry he was led to the gallows. True to his word, Thomas Samon maintained his composure to the last and met his fate without flinching. Particulars of the New Hampshire Horror. Laconia: J. Lane & Co., 1883. "An Almost Incredible Crime." New York Herald 26 Nov 1883. "New Hampshire Horror." 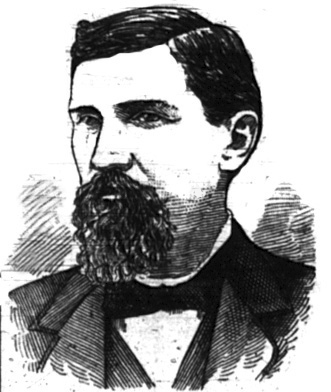 National Police Gazette 15 Dec 1883. "Samon Confesses." New York Tribune 4 Dec 1883. "Samon Refuses To Confess." New York Tribune 3 Dec 1883. "Samon, The Triple Murderer." 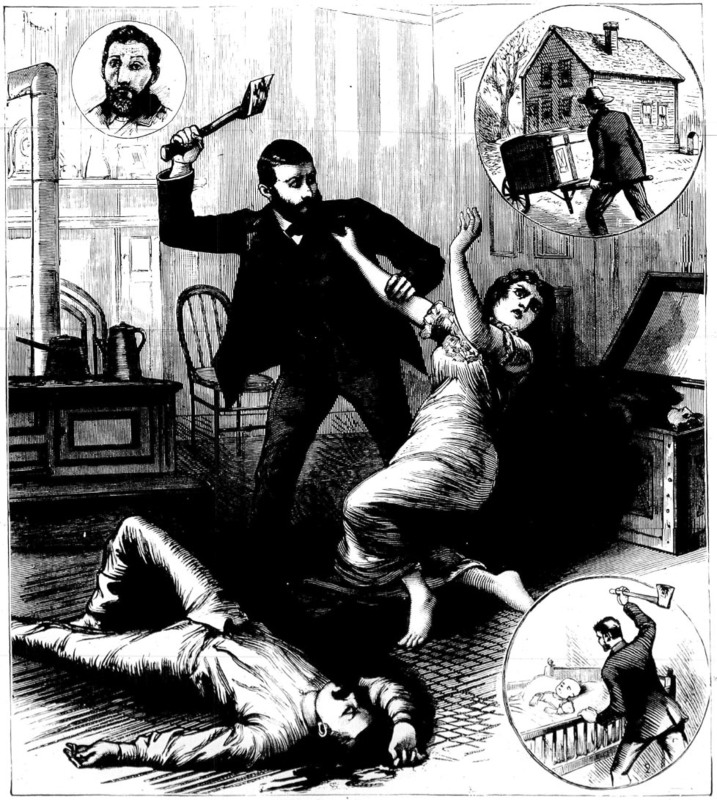 Truth 4 Dec 1883. "Samon's Neck Broken." New Haven Register 17 Apr 1885. "The Leconia Tragedy." Daily Evening Bulletin 1 Apr 1884. "Triple Murder at Laconia, N.H." Springfield Republican 26 Nov 1883. How did Andrews telephone police? The Bell & Watson telephone was not successful until 1876. There's no way it was widely utilized in just six short years. According to Wikipedia, the first telephone exchange opened in Boston in 1877 and the first commercial US telephone exchange opened in New Haven, Connecticut in 1878. So, it's possible. Thanks for the fact checking Gilbert. Yes, it is possible, the telephone spread rapidly in New England. And, the telephone call was reported in the newspaper. I don't make this stuff up. In the town I live in in Montana, there was a limited telephone exchange with 22 subscribers that reached around town and out to the local Fort in 1878. And we were in the middle of NOWHERE those days. James Ruddy was my fourth great uncle. Thanks for posting this. I'd never seen these pictures before.